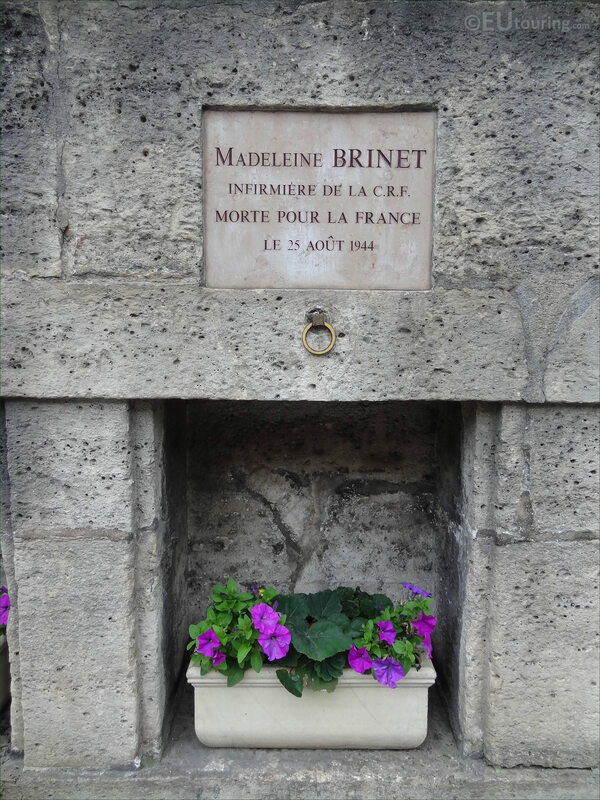 While by the Jardin des Tuileries in the 1st Arrondissement of Paris, we took these high definition photos showing a commemorative plaque dedicated to Madeleine Brinet. You will find that there are many different World War II memorials dotted all over Paris, and in this first HD photo you can see a commemorative plaque and flower pot dedicated to Madeleine Brinet, which is one of ten located on the wall of the Tuileries Gardens facing the Rue de Rivoli. 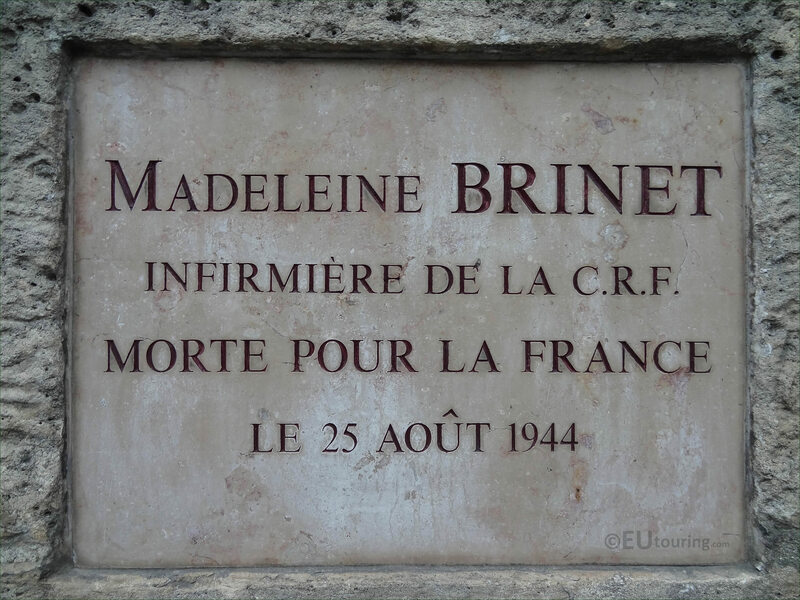 Here you can see a close up photo showing the plaque itself, dedicated to Madeleine Brinet who was a nurse of the C.R.F, which stands for Croix-Rouge Francaise, or in English the French Red Cross, and you can see that it states she died for France on 25th August 1944. Now this was the day of the Liberation of Paris when allied troops had entered the city to aid the Parisians and the French Forces of the Interior, capturing the German commander that led to their surrender, but it was through the intense fighting that went on around the Jardin des Tuileries and the Place de la Concorde which led to the death of Nurse Madeleine Brinet at the young age of 29. 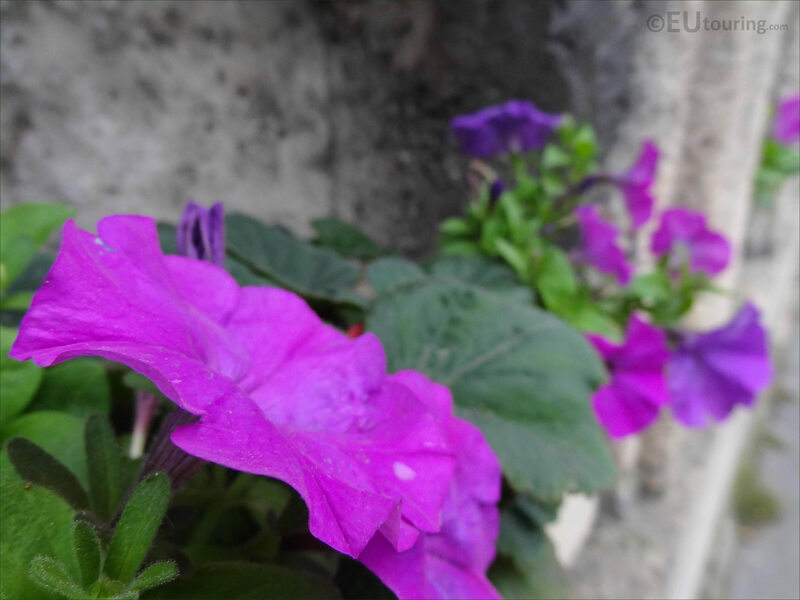 Yet this photo shows a close up of the flowers within the stone flower pot located within a niche on the sandstone wall of the Jardin des Tuileries for the memorial dedicated to Madeleine Brinet and these flowers do change throughout the seasons, becoming a very moving reminder of the atrocities that happened during World War II, not forgetting the strength plus effort that everyone put in to helping the entire nation put into ending this war.